Prosecutors and law enforcement treat firearm cases seriously to avoid crimes being committed with the use of a firearm. In fact, prosecutors treat individuals who possess a firearm and not the registered owner even more seriously because it raises the questions of where the firearm came from and/or what is it being used for. The Second Amendment of the United States Constitution permits individuals to own or possess a firearm. However, there are certain exceptions to the Second Amendment that one must comply with in order to avoid prosecution. 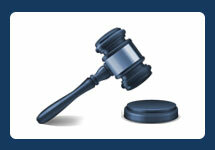 Firearm charges usually carry a number of legal defenses. 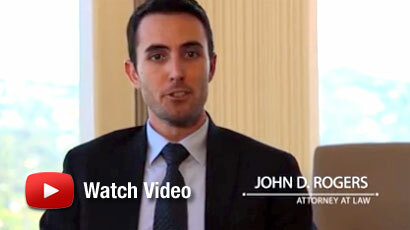 Los Angeles Criminal Defense Attorney John Rogers has experience and success in defending clients who have been arrested or charged with firearm offenses. Carrying a loaded firearm should be treated delicately, that’s why if one is accused, they should contact an attorney immediately. In California, carrying a loaded firearm not the registered owner is governed under Penal Code 25850(c)(6). This section is relatively the same as PC 25850(a) but adds that the firearm is not registered by the possessor by the California Department of Justice. What is the Punishment for Carrying a Loaded Firearm Not the Registered Owner? In California, the punishment for carrying a loaded firearm and not the registered owner can vary depending on a number circumstances. For the most part, this crime is a “wobbler” offense which means the prosecutor holds discretion on whether to charge someone with a felony or a misdemeanor. Factors the prosecutor considers are the defendant’s prior criminal record and/or circumstances and severity of the offense. What are the Legal Defenses to Carrying a Loaded Firearm Not the Registered Owner? You were unlawfully searched or seized by Police Officers. Police officer must have probable cause to conduct a full search of your person or vehicle. Additionally, Police Officers must justify the reason for detaining someone. Often times, weapons offenses can be dismissed by police officers unlawful conducting searches when they would have obtained a warrant. You were carrying the firearm for immediate self-defense. If you are acting in self-defense in protecting yourself from death or great bodily injury, you may be justified in carrying the firearm. Can my Attorney Prevent Charges being Filed Against me? If the case consists of a misunderstanding, or there is mitigating evidence, or exculpatory evidence showing innocence, there may be a chance to prevent charges from being filed. Moreover, a criminal defense attorney can track the case and submit a package consisting of character letters, exculpatory information, etc. prior to the prosecuting agency filing criminal charges. This is a chance to present a defendant’s side of the story or show the defendant’s character to the prosecutor in an effort to get the case rejected. It’s important to note that the prosecutor only has the police report to work from and often the report is damaging to the accused favoring guilt. This method serves to present all the evidence to the prosecutor prior to rendering a decision to file charges. In addition, if one is capable of getting the gun registered to them by the California Department of Justice, it would be in their best interest to do so. Dan was on his motorcycle when he was stopped by a police officer. The police officer detained Dan and eventually searched a locked compartment. The police officer discovered a hand gun that was registered to a friend of Dan. In this case, Dan has numerous defenses his attorney can bring. First, there is no justification to detain Dan nor conduct a search of a locked compartment absent probable cause or a search warrant. Also, if Dan did not know the hand gun was in the locked compartment, perhaps his friend left it in there for safe keeping, Dan would then not be guilty of this crime because he did not know the firearms presence. Dan walking down the street when he overheard gun shots. He fell to the ground to take cover. He noticed a gun near him and he picked it up to defend himself in the event there are more gun shots. A police officer sees Dan carrying the gun and immediately arrests him. In Dan’s defense, he will contend that he mere had momentary possession for the sole purpose of defending himself from death or great bodily injury. If you have been arrest, charged, or accused of carrying a firearm and not the registered owner, contact Los Angeles Criminal Defense Attorney John Rogers at the Law Offices of John D. Rogers immediately. Mr. Rogers is located at 1801 Century Park East, 24th Floor, Los Angeles, CA 90067. Call 877-888-9820 for a free confidential consultation concerning your rights and defenses.